Two four-page 5 1/2" x 7" programs printed on heavy, cream colored stock. 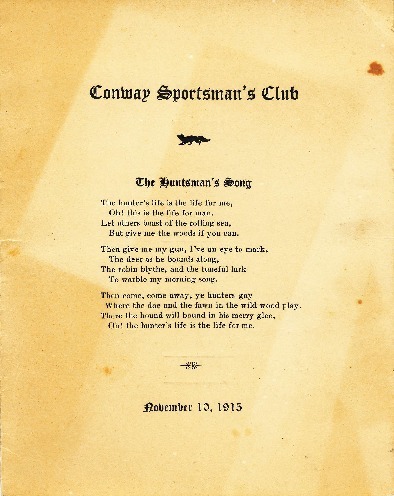 Includes poems, songs and Conway House menu. 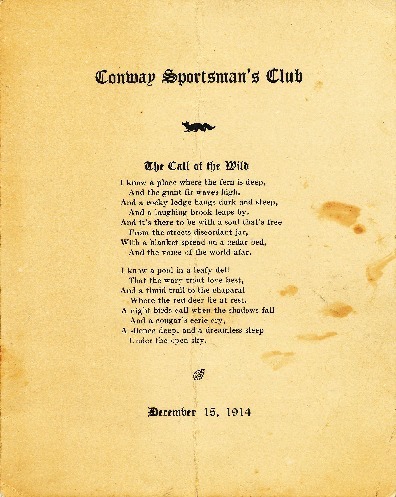 Unknown., “Conway Sportsman's Club Dinner Programs,” Conway Historical Society, accessed April 21, 2019, http://conwaymasshistory.org/items/show/861.